As the van ascended the steep road through picturesque villages perched on the side of one of the mountains overlooking the Sacred Valley in Peru I realised I had never reached this altitude before (except in a plane). I was about 3,500m above sea level, which to put it into perspective – Australia’s highest mountain, Mount Kosciuszko, is 2,228m. I was about to embark on an 11km hike through the highlands of the Sacred Valley from an altitude of 4,100m to a high pass at 4,400m. Fortunately I had spent the last few days in the Sacred Valley slowly becoming accustomed to the altitude; this is critical before any trekking at altitude. Many visitors to Peru opt for the 4 day Classic Inca Trail but I decided on the alternative 1 day Inca Trek, essentially the last day of the 4 days Classic Inca Trail, which gave me more time to explore the lesser known hikes around the Sacred Valley (it also meant I didn’t have to camp). 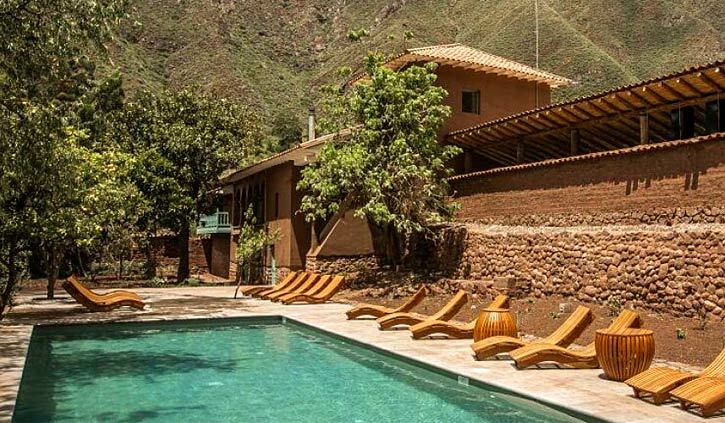 I stayed at the luxurious explora Valle Segrado, an all-inclusive boutique hotel with expert local guides ready to take you out to discover the Valley. So this is how I found myself at my highest ever altitude, in a minivan with two very enthusiastic guides and 4 other guests from explora. explora works to ensure the local communities benefit from tourism (including employment) and have respectful and courteous relationships with them. As our vehicle meandered up the side of the mountain we stopped to offer a local lady a ride. 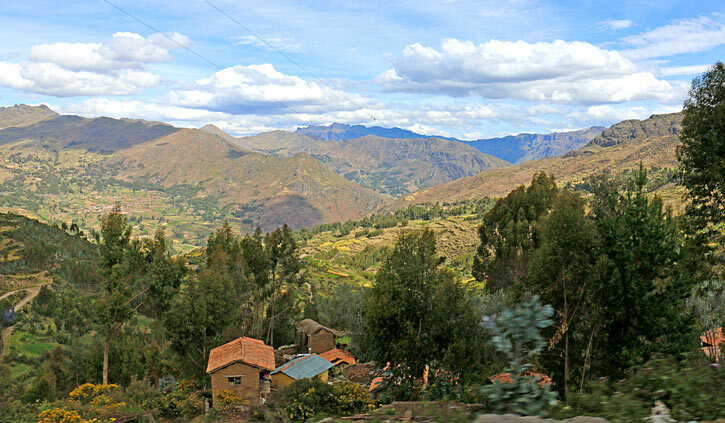 She was from one of the small high altitude villages scattered throughout the Sacred Valley. Our local hitchhiker was wearing traditional Peruivan dress and looked like she was in her early 60’s. She was powering up the road quite quickly before climbing into the van. A half jog really. When we got to our destination, approximately 4,100m, we all clambered out including our guest. She waved goodbye and trotted off in her colourful attire, disappearing over the hill. This is where our slow paced hike across the Lloclla highlands began along with growing admiration for our nimble passenger. We started off with a moderate incline and I immediately felt effects of the altitude. Walking the first 100m felt as if someone was holding onto my backpack, slowing me down a little and making each step a little heavier than I was used to. After walking at a slow pace, allowing my body to get used to the thin air, the feeling subsided and the walk was very enjoyable just a bit slower than usual. I just had to remember to not push myself too hard and stay hydrated. On route the occasional Llama herder would trudge past with their vocal entourage, apart from that we didn’t encounter anyone else, certainly no other tourists (explora have worked hard to develop unique trails and experiences). 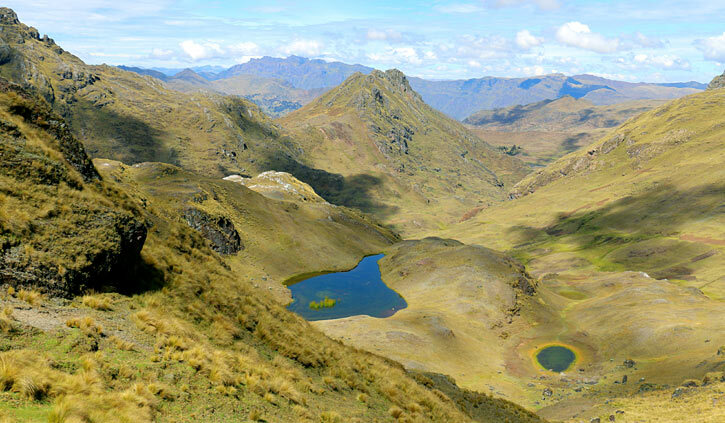 This trail was an important pass to the jungle during Inca times and is now used by local shepherds for access to summer grazing. 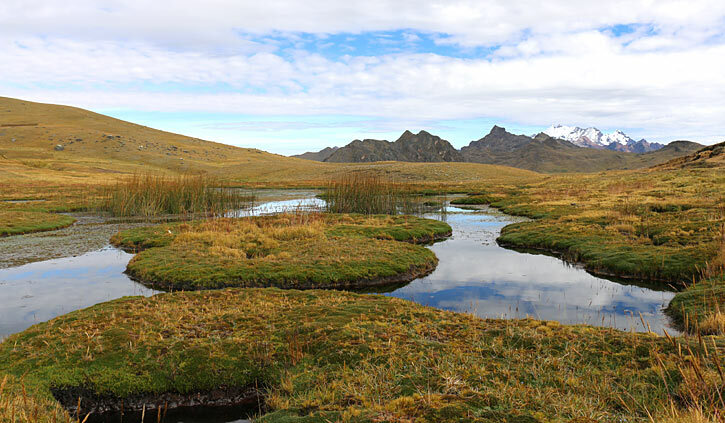 The landscape at this altitude was green rolling hills with Mount Veronica’s snow-capped peaks towering in the distance. 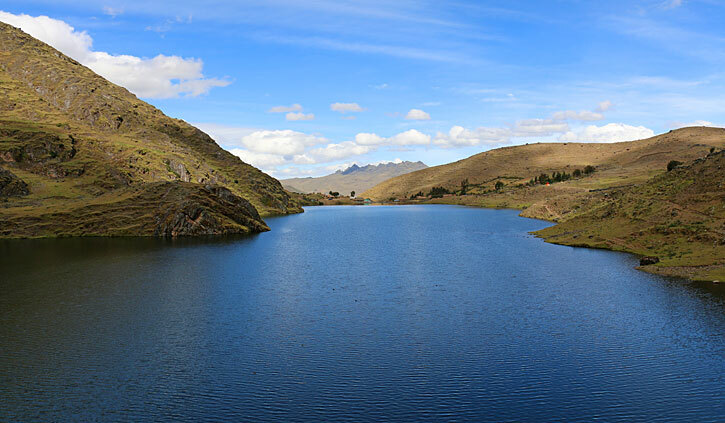 We were lucky to have clear blue skies enabling us wonderful views far across the Andes mountain range. 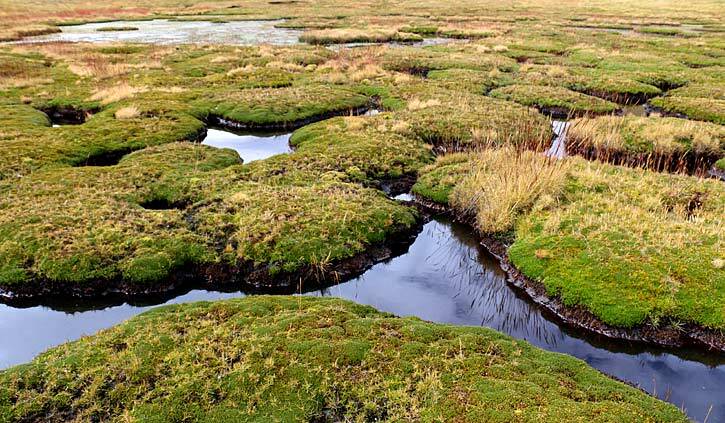 Most of the trail was on firm hard ground, though in some areas the ground turned to marshland fortunately covered by patches of spongy sediment which had hardened into stepping blocks that we could skip across. As we approached the high pass, we took a break overlooking a valley dotted with llama and sheep farms. We nibbled on snacks provided by explora and ensured we remained well hydrated. Replenished we pushed onto the steepest part of the hike and over the pass. This section was quite challenging due to the altitude and the feeling of being weighed down returned. ‘Slowly slowly’ I repeated to myself, that’s all you can really do when you are at that altitude and unaccustomed to it. I couldn’t help but think back to the local woman in the van earlier who was jogging along this same path! Once at the top of the pass the view was spectacular. A lagoon sprawled out below us with the occasional potato field adding to the landscape. As we descended the effects of altitude dissipated. I soon had a spring in my step as I navigated my way down and across steep slopes and terraces. 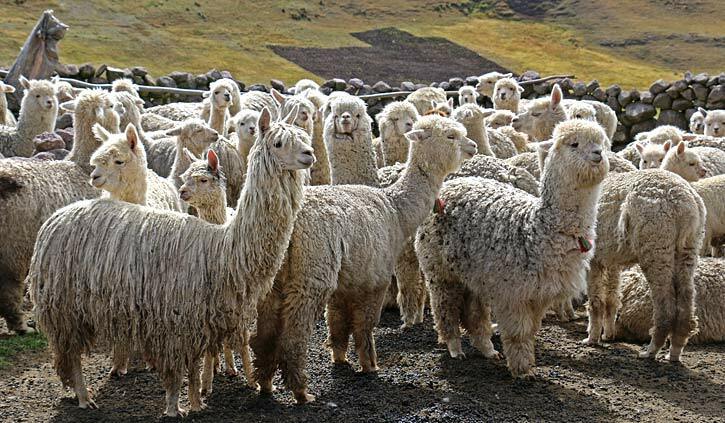 After another hour of hiking we stopped on the shore of the crystal clear lagoon and sat in the soft highland grass to enjoy lunch which included sandwiches, salad, soup and for those who were keen roast alpaca. After a final hour along a path hugging the shores of the lagoon we came to a small road where the explora van was waiting for us with light refreshments. Back at explora I donned my white robe and slippers, detoured via the bar to pick up a Veronica cocktail, and headed to the Jacuzzi in the refurbished farmhouse. Here I soaked my weary limbs whilst watching the sun set feeling thankful for the incredible day. I have to admit I felt quite smug, I was very happy that I wasn’t camping. 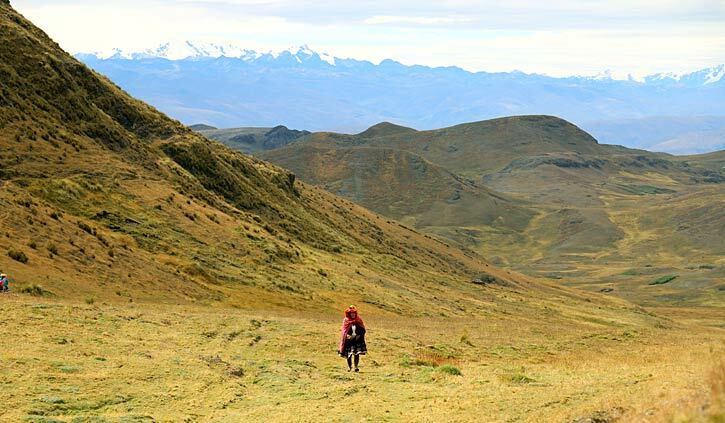 explora offers excursions for all fitness levels and I suggest that anyone wishing to do this excursion should acclimatise for at least 2 days. The terrain provides a relatively easy walk but the altitude can make this hike quite challenging. However if you If you feel up for it the scenery is absolutely unforgettable and on a clear day photographers will have a field day. 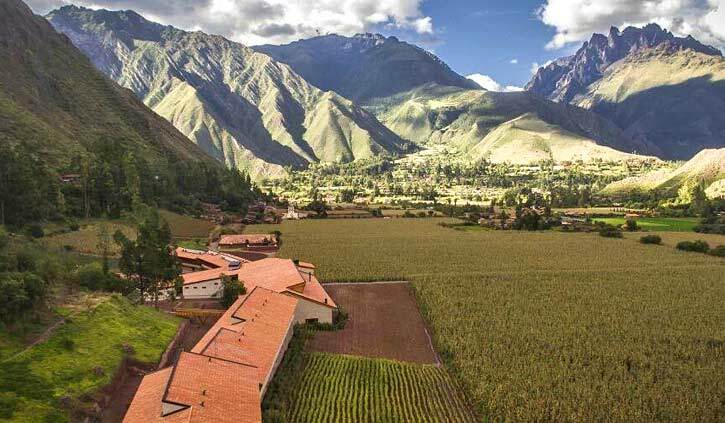 For more information on staying in the Sacred Valley, tours in the region or staying at explora Sacred Valley contact one of our experienced consultants on email: contact@satc.com.au or call 1300 784 794. About the Author: Fiona is the Marketing Manager for South America Travel Centre and on this trip travelled to Lima, the Peruvian Amazon, Cusco, the Sacred Valley, Machu Picchu, Lake Titicaca, the Atacama Desert and Santiago. Even after the million or so photographs of Machu Picchu that she has seen over the years, the site still managed to exceed any expectations. 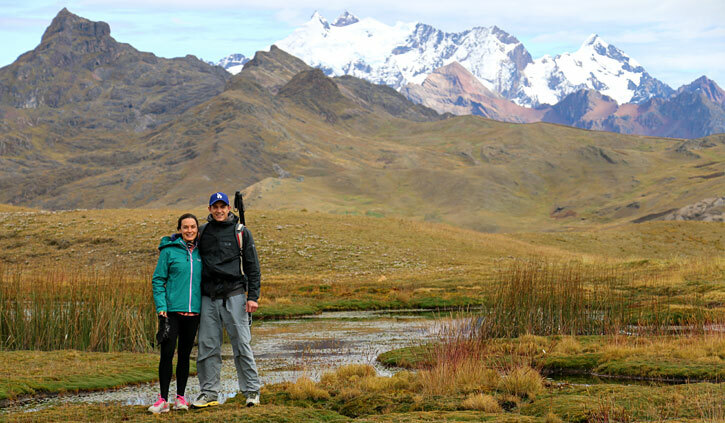 Spending time in the Sacred Valley on remote hiking trails before taking the one day trek to Machu Picchu made visiting the site even more special and her entire trip in Peru is full of unforgettable memories and adventures.